The Into Hair team have a fantastic reputation in the field of hair extensions. The team were some of the first to be trained in Brighton, Sussex. Trained by 'Connect' in London, our team have over 20 years experience in this field. 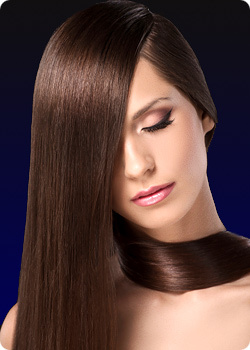 Clients have travelled from all over the UK to have their hair extensions done by Into Hair. We use the best quality in human hair. The salon stocks a full range of colours to cater for everyone's requirements. Our highly experienced stylists are available to you for this service, and can create the best styles for you, at the best prices. A free consultation prior to every appointment ensures that we can advise and offer exactly what you require.